What is timbre and what can we do with it? Timbre is a powerful structuring and emotional force in all genres of music, be they acoustic or electroacoustic. It is also one of the least understood and theorized elements of music. 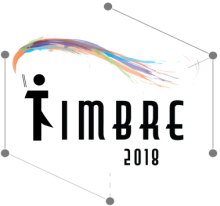 July 4-7, 2018, the major timbre and orchestration researchers from around the world will come together in Montreal for a conference about the study and deployment of timbre in music.